This recipe is quick but is also delicious. It is full of Asian flavor and has the crispness of cucumber and the creaminess of the avocado. There are many health benefits to avocado. They contain healthy fats so adding them to a dish is good. This is a great recipe for those who want to eat more veggies. This presents them in an interesting way so those who normally don’t eat them might still like it. The photo on Gena’s Instagram prompted her to take on the Nori roll. This vegan roll uses fresh vegetables. 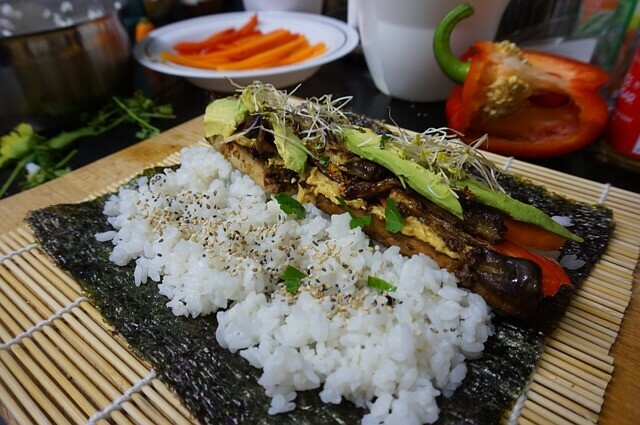 By doing this the dish is vegan and does not require the seasoned rice and maki. This is a great addition to lunches and dinners. It serves as a tasty, healthy finger food!